The relationship between NGOs and business will always be a controversial topic as industry may feel NGOs don’t always play fair but there are some really classic case studies where NGO campaigning has brought about change more quickly. We’ve also seen counter campaigns where industry hits back. 1. Greenpeace targeted Nestle on palm oil, with a particular focus on Kit Kat and some truly gruesome visuals. 2. 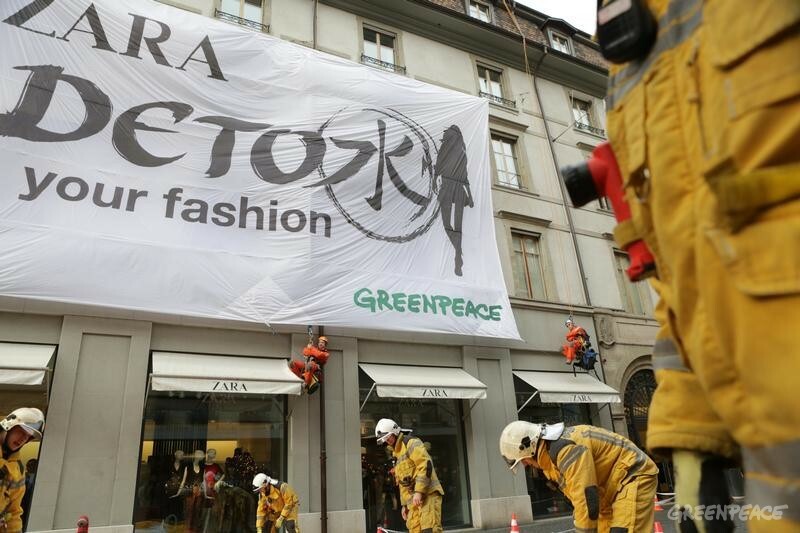 Detox Zara Taking the clean apparel message to the high street, Zara came under severe attack from Greenpeace recently. The Spanish retailer responded after nine days with a commitment to go “toxic-free”. 3. Campaigns targeting Apple on their supply chain led the company to start reporting on supplier responsibility. They are still taking some heat on the lack of repairability of their super thin devices but Apple is hopefully dealing with this. Apple customers are a pretty devoted lot so I’m sure I wasn’t the only person thinking ‘I hope this is not my last Apple product’ when I replaced my laptop recently. 4. The Clean Clothes Campaign targets human rights and working conditions faced by garment workers. 5. According to a Sigwatch study written up in the Holmes Report, Shell is the most targeted company by NGOs. They say it’s because Shell engages proactively with their stakeholders. So that can’t be all bad.